How this Test works is for each of the statements you choose a rating of 0-5 on how much each condition effects you. If no have no problem with it you score yourself a 0, if you have a severe problem with it you score a 5. If you have H-pylori I believe that can be treated with most commonly anti-biotics. Also there is a natural alternative called mastic gum which has been proven to stop H-pylori as well. I would recommend considering them. I have been diginosed with heritable hernia and acid reflux More than a year ago. I thought it had gone away but it is back with burning mouth and the breathing problem. I an taking digestacure it is for autoimmune . It healed before so I hope it will this time. I did not have the breathing and wheezing before only at night when I lay down after a few hours of sleep. I know to stop coffee wine and spicy foods or acidic things. Are there other foods I should be careful of. Yeah there are many foods and drinks that you need to be careful of, read my starter diet plan for the first important advice – https://www.wipeoutreflux.com/lpr-diet/ Also if you want a complete guide on all foods and drinks check out my Wipeout Diet Plan. I have this terrible dry nose and chest and throat, facial flushing and the sinuses are so dry I start smelling this smoky smell when nothing around me is burning. Pretty sure I have it. I didn’t realize this could affect my sinuses as well. Good to know. I’ve been researching esophageal erosion and some of the things I read don’t seem to apply to me, but what I’ve found here does. I scored 22. I’m trying to heal my throat. I think acid is getting to it, but I don’t feel it happening. 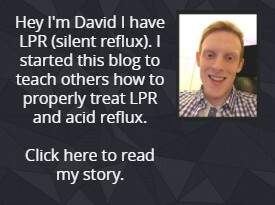 I’ve never heard of silent reflux, or read it might take 6 months to heal. I’m a LOT less depressed about this. Being more informed is the best recipe for healing. Keep on going!